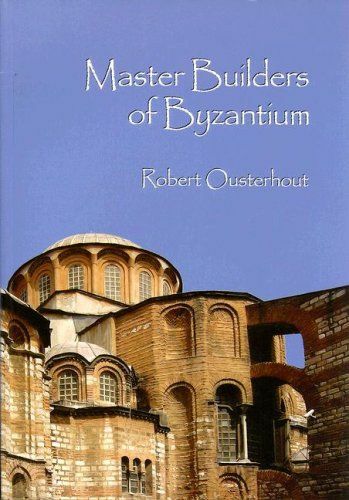 Examining Byzantine architecture—primarily churches built in the area of Constantinople between the ninth and fifteenth centuries—from the perspective of its masons, its master builders, Robert Ousterhout identifies the problems commonly encountered in the process of design and construction. He analyzes written evidence, the archaeological record, and especially the surviving buildings, concluding that Byzantine architecture was far more innovative than has previously been acknowledged. Ousterhout explains how masons selected, manufactured, and utilized materials from bricks and mortar to lead roofing tiles, from foundation systems to roof vaultings. He situates richly decorated church interiors, sheathed in marble revetments, mosaics, and frescoes—along with their complex iconographic programs—within the purview of the master builder, referring also to masons in Russia, the Balkans, and Jerusalem.